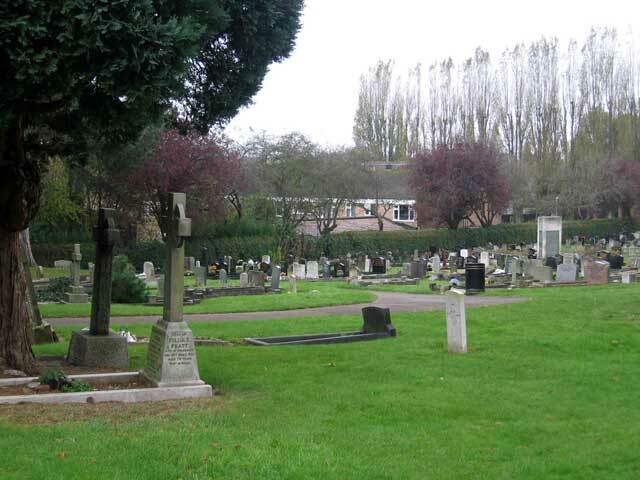 Oadby Cemetery, - with Private Matthews' grave on the right in the foreground. There are 13 War Graves in Oadby Cemetery, from both the First and Second World Wars. 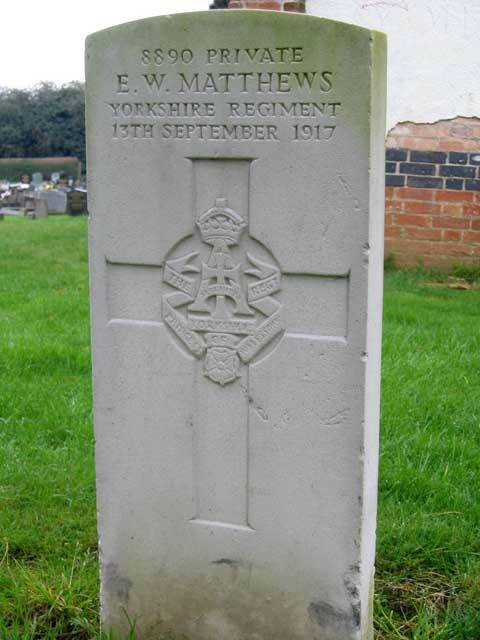 One of these graves is that of Private Ernest William Matthews of the Yorkshire Regiment. We are very grateful to Richard Roberts (<richard@nosnailshere.co.uk>) for the information and photographs. Son of Thomas & Ellen Matthews. Died 13 September 1917, Aged 28.